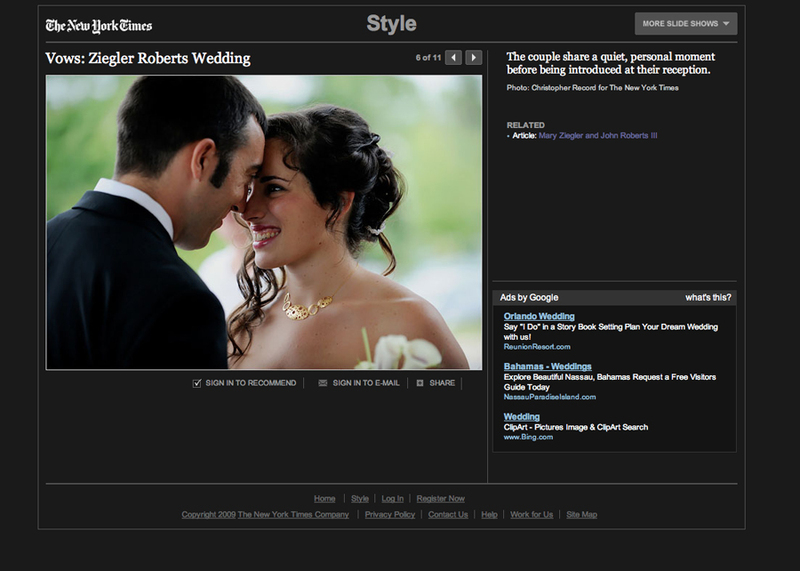 In a little change of pace, I photographed a wedding last Sunday for The New York Times. The article, featured in today’s Style pages in the Weddings/Celebration section, gave me a chance to get back to my journalistic roots. But I didn’t do anything differently than I normally do at weddings with the exception of not photographing formal and couple portraits. The images ran in the print edition as well as the online edition, which included a nice slide show of the images. 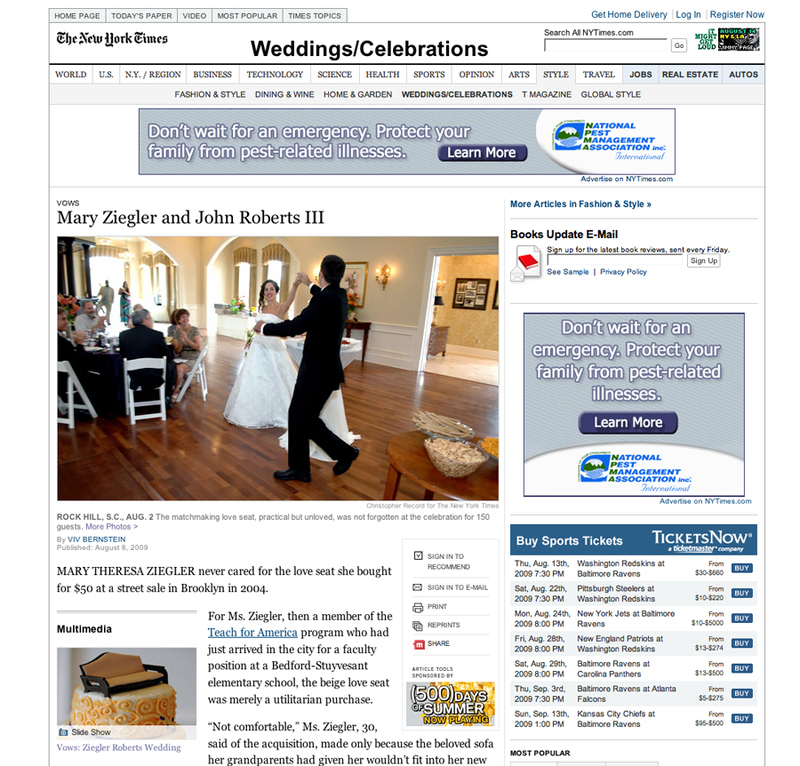 Mary and John live in Brooklyn, NY, but Mary is from the Rock Hill, SC, area and the wedding was held there. The story about how they met makes for a fun read. I just saw this piece, Christopher, and it’s wonderful! As soon as I saw your photo credit I had to jump online to give you a shout-out. Lovely images, and what a great story. Bravo! Congratulations! Great work! Great story and beautiful images… as always!